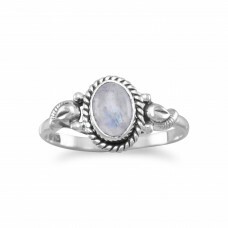 Sterling silver ring with a 5mm x 7mm moonstone. The stone has a rope edge. The band is approximately 1.5mm.